How do Americans refer to their non-metric system in everyday circumstances? In Australian English, we'd refer to using feet, inches, pounds, ounces and the like as "imperial units". In everyday conversation, do Americans refer to their non-metric units as "imperial", even though it's slightly different to the non-metric units Australians use? If not, what do they use? In day to day conversations our system of units and measures are not called any thing. We don't have different conversions happening between systems, in most cases, and for us it just makes sense. For a simple example there are 3 feet in a yard. But we never really do that conversion. It would be far more likely for me to ask for 99 feet of foo, than to try to ask for either 99 feet or 33 yards. The only really common conversion that we do daily, is feet to inches. Even that is not really true, for a lot of people. If you try to buy window blinds for example, you measure with a measuring tape and record the inches, then in the store you shop by inches. Even if its 72 inches, that's still fine. Having to convert from say feet to meters is extremely rare (on a large scale). If there are professions or common needs that require a lot of conversion there are charts, slide rules, and other aids. But even in those situations (most of the time) the metric units are the foreign ones. Probably the most common is when working on cars and other such. Bolts and sockets, wrenches are either SAE (Society of Automotive Engineers) for US built cars, or Metric everywhere else. Second to that is probably SI. For scientific things, including medicine, chemistry, experiments, etc. SI is used. But almost exclusively. So there are no "Customary Units" in use, most of the time. When going over historic documents Imperial is some times used. It is also used incorrectly to contrast metric v.s. Imperial. But it's very important to note that US units of measure are not the same as Imperial units, and in some cases (most modern ones) Imperial is used incorrectly. Customary, Traditional, and Standard terms are generally used in conversations that compare the two systems of measurements. But it can really depend on what circles you run in, which term you would use. And finally, American is used frequently when asking someone to convert SI units to something more locally useful. "He was about 3 meters tall." "What's that in American?" "Almost 10 feet!" As an aside, "Freedom Units" are a joke on "Freedom Fries" and are usually mentioned with scorn and laughter. I can't think of anyone that actually uses that term seriously. So in day to day use I would say we just call them weights and measures. 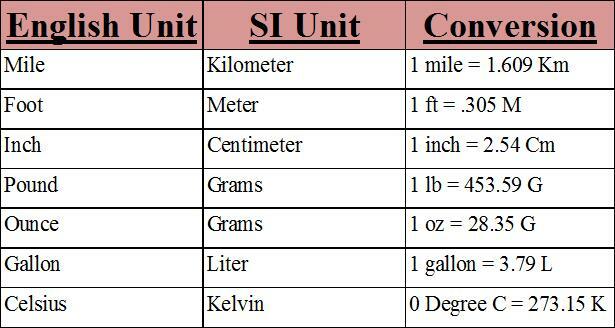 If we are comparing them to SI units then we may use a name, but that name is, in itself, not really standardized. The official standard name is United States customary system or United States customary units but that's almost as rarely used as "Freedom Units" (though "customary units" is a bit more common). If one is buying tools, for example, one would say: "I need standard measurement - not metric." I remember the push, when I was a child, to adopt the "metric system", and it just didn't take root. Americans of my generation (tail-end boomer) are fiercely protective of our inches, feet and yards, and think of it as "standard" (as opposed to that foreign "metric" baloney). In the CAD system that I use, there is a choice between using millimeters or inches as the basic unit of length. The menu asks the user to choose "Metric" or "English" units. The software was originally developed by US folks, and apparently "English" was the word that they expected their users to understand most easily. When I was in school in the 90s. I was taught these are called customary units. 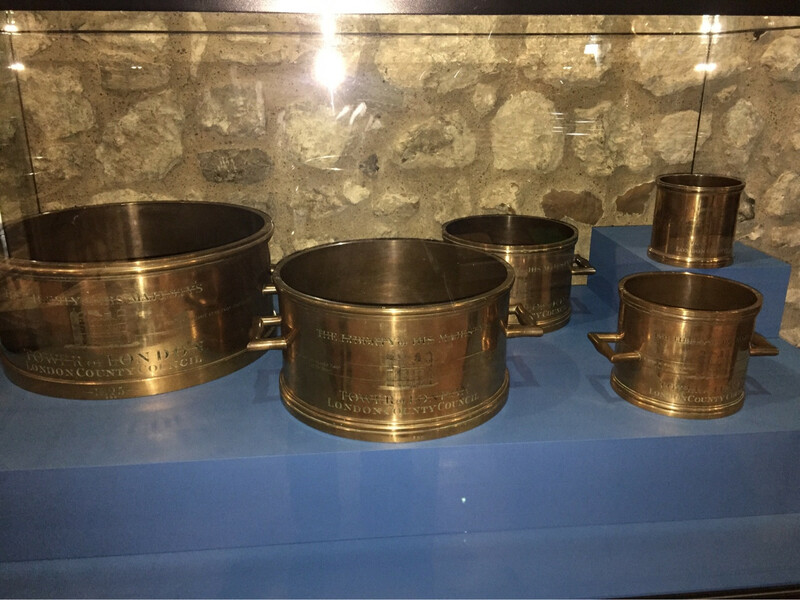 The United States customary system (USCS or USC) developed from English units which were in use in the British Empire before the US declared its independence. Since the question asks for "everyday usage of Americans", I'm going to relax my usual standards of evidence for answering and just respond as an everyday American. We don't refer to it by any name, usually. How would you refer to these systems, as systems? You wouldn't. Practically speaking, because there's very little call to talk about them as systems at all (as fish have little call to talk about water), but more fundamentally, that's just the way it is, even if in theory there are other options. Having said that, when speaking of the American system of units specifically in the context of contrasting it with the metric system, I've sometimes heard it called the Imperial system, though that's technically inaccurate². ¹ Yes, there are 50¢ and $1 coins, but no, nobody uses them. ² The technically accurate name for the system is "US Customary Units", though I doubt 1 person in 100 off the street would even know that, much less ever have call to mention it. PS: My sister-in-law is French, and she finds the American unit system primitive and confusing. She often (too often ;) wonders aloud how we even remember the relation of one unit to another. The adjective "imperial" was first used to refer to the UK system of units around 1825, when the system was defined. This was after the colonies had become independent. The units in the imperial system are not the same size as the previous units in the UK. As many have pointed out, in speech almost no Americans describe their system as imperial. But publications, foreign (e.g., New Scientist) and domestic (e.g., the New York Times) often do. This usage is an example of hypercorrectness and is incorrect. To be picky, after WWII made the mismatch of inches a problem for aircraft engine parts, various countries agreed by treaty on a new definition of the inch, 2.54 cm, which is properly known as the international inch. Of course, nobody says that. As above, the most popular general term for the whole system is "English units". However, for wrenches, nuts and bolts, the term "standard" is used. "Standard" also implies that binary fractions (1/2, 1/4, 1/8) rather than decimal will be used. This is following the answers up above; while metric seems to have a well-known name, the other units are not called by anything; just the unit itself is used. USA Person: "It was really cold yesterday, like 30 degrees"
Brazilian Person: "What? 30 degrees? That's not cold!" USA Person: "Ah! I meant in Fahrenheit. Not sure what it is Celsius"
Over on https://bicycles.stackexchange.com we get a lot of mixed units because bike parts are mostly metric, (more so with modern bikes) but some parts are simply inch based and are unlikely to change. Drive Chain is 1/2 inch pitch for example, but comes in widths measured in millimetres. So we often refer to metric units and ameridoodle units which is a neologism to mean "the measurement units Americans/derivatives use on bicycles"
Its not meant as an insult and noone's taken it as an insult. And its fairly clear what's meant without a definition. Well, as other answers have stated, we don't tend to mention it very often. I mean, when you deal with grams, do you deal with grams, or metric grams? (Or, "metric liters".) Does the word "metric" seem out of place there? Similarly, we don't typically preface our unit names. Similarly, when we discuss international trade, we may refer to the "United States dollar", as some other nations do use currencies that are called dollars. However, when we go to a local store, we are typically just asked for "dollars". Clarifying the type of dollar is not something commonly mentioned, and the same is true for words related to our measurements. It seems that many people of my generation tend to roll their eyes when we think about the understood absurdity of the fact we're still living non-metrically. However, we're unlikely to get this changed until the baby boomers become less influential. So, we simply wait. Soda pop has often been sold in 2 Liter bottles, and more recently in 1 liter bottles. As mentioned elsewhere on this page, scientific communities have often embraced metric measurements. I've read that elsewhere, aviation has typically embraced certain measurements like "feet", worldwide. So, some specific communities favor one system, while others favor another. Actually, it seems I was taught wrong: Americans may not use the traditional British "imperial" system. Despite that, people do claim this. e.g., Google for: imperial measurement system returns a top result quoting InterExchange.org: Imperial vs. Metric system which says, "In the United States, we use the older Imperial system, where things are measured in feet, inches and pounds." However, there are more claims that Americans don't use the imperial system. Wikipedia: Comparison of the Imperial and US Customary measurement systems says "Both the imperial and United States customary systems of measurement derive from earlier English systems used in the Middle Ages"... "Having this shared heritage, the two systems are quite similar, but there are differences." Still, this finding doesn't alter the main core part of my answer (mentioned earlier), which is that this just isn't something most Americans bother talking about very frequently. In which countries would “tags” be understood to mean “License plates and stickers that show the registration is currently valid”? When do you use the term “Dialect”?